Questions for "To a Mouse"
John Steinbeck got the title for his famous novel Of Mice and Men from Robert Burns' poem "To a Mouse." 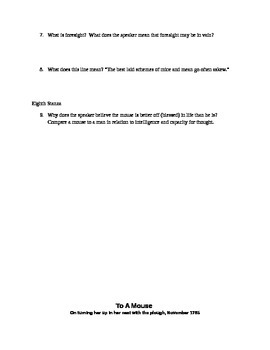 In this download, I have put together a handout that has nine questions for students to use to analyze the poem. 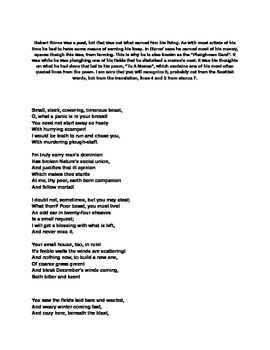 There is also a copy of the poem in the download. It is a translation from the original Scottish.